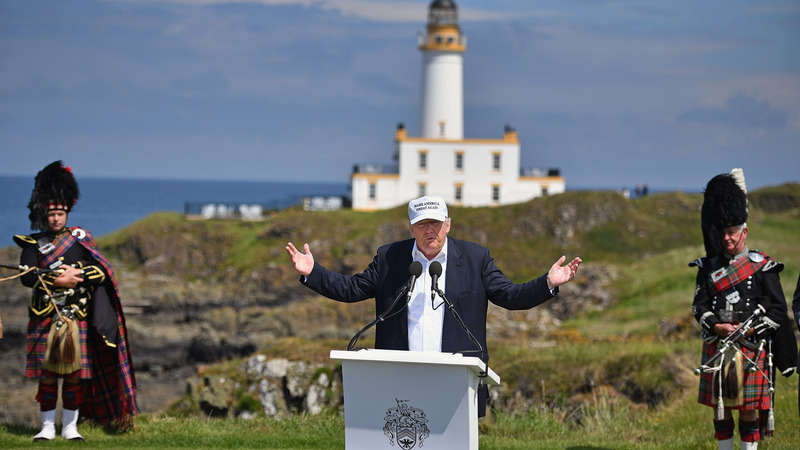 Donald Trump speaks from the 9th tee at his new Trump Turnberry Resort Friday in Ayr, Scotland. 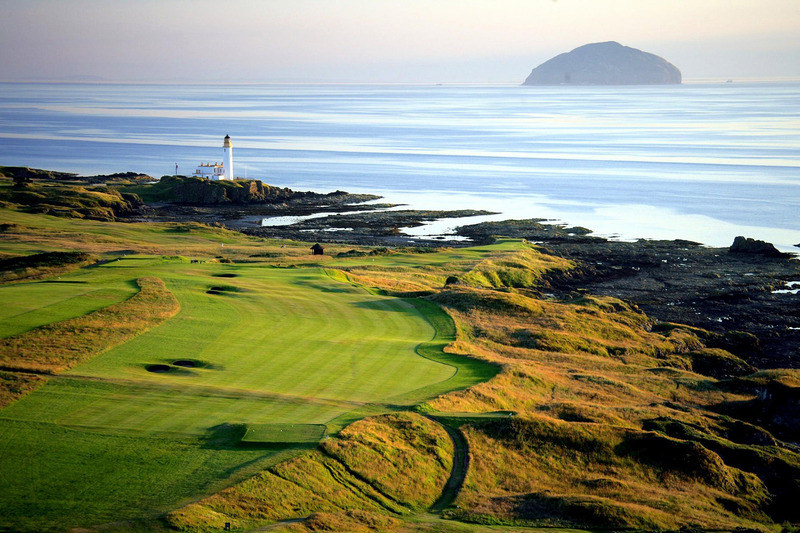 Donald TRUMP has become a poster boy for Brexit, leading the charge from the golf links of his newly opened TRUMP Turnberry Resort in Scotland to declare victory for the British working class who have risen up from their oppressed conditions to take leave of the European Union. In an attempt to escape his tempestuous campaign for a few days, TRUMP landed at Turnberry in his G-TRMP private helicopter (after a night of traveling in the gold plated 757), announcing Brexit as a fantastic personal victory, validation of his own anti-elite campaign to defend the rights of hard working people who have missed out on the economic spoils. 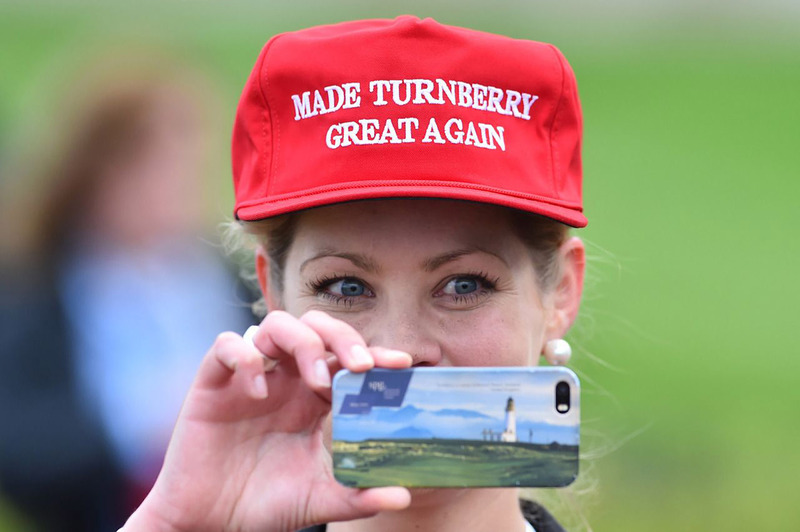 Surrounded by his adoring resort staff wearing “Made Turnberry Great Again” hats, TRUMP reiterated his position to shift the balance of power to the abused little guy.